Michael O'Connell, MD founded Flexachem in Douglas, Cork. Started off primarily as a value added re-seller of engineering components into the Pharmaceutical/Chemical Industry. Flexachem commenced Manufacturing of PTFE/PFA lined pipe products. Flexachem became Market Leaders in manufacturing Lined Pipe & Fittings & in re-selling Atomac Valves. Flexachem had the capability to produce 200+ PTFE and 'Teflon' lined items per week. 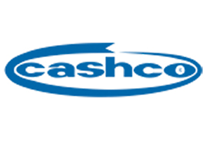 Flexachem received ISO 9002 Quality Award and a certification for Quality Management Systems (NSAI Certificate). Started Actuation of Valve Packages & received Supplier of the Year Award by the Minister of Tourism and Trade. Durco Ireland becomes fully integrated into Flexachem and later in the year, Durco merges with Flowserve. We continued distributing Durco Valves but under the Flowserve/Durco brand and we commenced distribution of Flowserve Centrifugal Pumps. Flexachem is recognised as the Number 1 Durco Valve Distributor for Europe, Middle East & Africa. Control Valves are added to portfolio. Flexachem takes on the distribution of Flotronic Pumps. Eli Lilly presented Flexachem with a Quality Vendor Award. Product Portfolio expands to include Flowserve Mechanical Seals. Flexachem takes on the exclusive agency for PBM Valves in Ireland. K-Controls switchboxes and Monitors came on board. Flexachem portfolio was expanded to include Chemineer Mixing & Agitation. PBM Inc. USA issued Flexachem with a Certification of Recognition for achieving the Top European Billings Award for Valve sales during 2008. PBM Inc. USA issued Flexachem with a Certification of Recognition for achieving the Top European Billings Award for Valve sales during 2009. Michael Travers joined the company as an advisor to the Board of Management team. He commenced the realignment of the organisation structure and the development of Business Tactics & Strategies in order to prepare the company for future growth both in terms of increasing the product portfolio and entry into other industry sectors. Introduction of Flowserve GESTRA Steam to Flexachem's product portfolio. PBM Inc. USA issued Flexachem with a Certification of Recognition for achieving the Top European Billings Award for Valve sales during 2013. Flexachem are awarded the top European PBM sales award for a 5th year running. 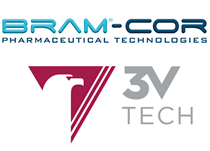 Flexachem partner global brands 3V Cogeim / Glasscoat and Bram Cor to support their pharmaceutical and biotechnology customer base. Since 1982, Flexachem is delivering Mechanical Components, Process Solutions & After Sales Support to the Manufacturing and Process Industries. Together with our technology partners of industrial process equipment, we look at the complete mechanical engineering design of the process this typically delivers a platform for improved uptime and reduced operating cost. Over the past thirty-six years, the Flexachem team have delivered support for its clients. Our proactive approach gives reassurance to our Clients from Component to full systems delivery and/or product & technical advice, the Flexachem team guides you through the process from start to finish. Our product range is fully supported by in-house product specialists, service engineers and a dedicated business development team. We support a very broad spectrum of market segments; Pharmaceutical & Chemical, Biotechnology, Food & Beverage, Dairy, Industrial Utilities or Waste Treatment. Flexachem’s product portfolio meets the specifications according to your sector needs. Specify, Assess & Source – Mechanical Products and Equipment catering to a wide array of applications. Ensure Continuous Up-time by deploying cost-effective, high-reliability solutions to your Manufacturing & Engineering Challenges. Acquire the best quality Mechanical Products from the most reputable brands while at the same time negotiating the best possible price and terms & conditions. If we do not have a particular product on our portfolio, we will gladly source it for you. We pride ourselves on building and maintaining long-term relationships both with our clients and our suppliers. We want you to be fully satisfied and we will go that extra mile to ensure a job is well done! Quality is an integral part of our process. We are committed as a company to the ongoing improvement of the quality management system through the review of specific measurable quality objectives, which is why we work closely with our suppliers to ensure all our products are manufactured to the highest quality standards. Flexachem is an NSAI certified company; many of our products are ATEX approved and have CE marking. ISO 9001:2015 Quality Certification which we currently hold.